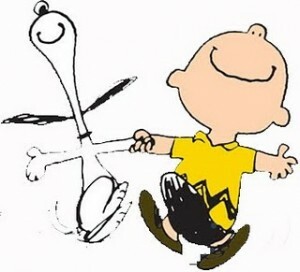 Content curation? Not content creation? Even the word processor we use thinks the word is spelled wrong. However, content curation has been around for quite awhile. As content developers and a business with a blog, we know it’s hard to keep up with the constant need for fresh articles. After posting umpteenth hundred posts, everybody has at least one experience with the whole “What do I write about NOW” question. Usually, this happens only a day or two before the next one post is due to come out. – And then there’s content curation. It’s now become a matter of searching for your topic, click, scan, back click to search result, click, scan, back click to search result. Wouldn’t it be better if you could find a single source for your topic? One that filters out all the noise to give you the best of the best in informative, bite sized snacks? 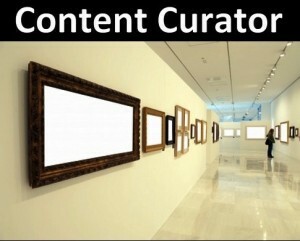 Content curation, much like museum curation, is finding, collecting, categorizing and selectively displaying works of art. 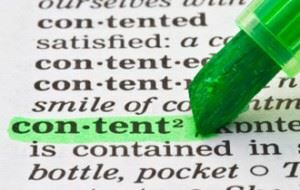 How is content curation different from content aggregation? Content aggregation isn’t selective. Indeed, it simply broadcasts more noise. Often, it’s an automated process with no thought behind it. Although content curation still takes time and dedication, it doesn’t take as much time as content creation. Rather than creating new content, you’re thinning and refining the way topical content is displayed – and you use your site as the content museum. An excellent example of content curation is SmartBrief. Every month, IAB picks the best articles about interactive media and marketing. “…we do all the research… and you get the news you need, without the fluff. You may or may not have the time to write lengthy articles, or the creative juices to write many lengthy articles. However, if you can write a paragraph around a good article posted elsewhere, you can become a content curator. This helps your site, your blog and your authority. Although the links get traffic, you become the place to go for “the best of the best” information (i.e. you get traffic, too). EarthKnowledge – Earth Knowledge provides very little, if any, of their own content. Instead, they’ve collaborated with content and science providers, and then displayed the content in a wonderful, unique way (the virtual globe is well worth a look). CMO.com – CMO’s content offerings target Chief Marketing Officers. Yes, they provide some of their own content, but they also pull in updated, curated content from related sites (i.e. all things marketing), such as Business Insider, Clickz, eMarketer and others. It’s an excellent, relevant and time-sensitive museum for marketing aficionados. Arts & Letters Daily – Arts & Letters creates tasty, bite-sized snacks with a link to the full article. If it’s intellectual, you’ll probably find at least a few tastes of it here. Scoop.it – A wonderful fun way to share all your latest posts including the pros & cons to leverage all of your content. If you’re finding it hard to come up with a new blog every day, week, month – whatever your schedule is, you might think about content curation. However, don’t throw a list out just because you can’t think of anything else. What other content curation examples can you think of?